Like so many other people, visiting the Kotel was an important part of my first-ever trip to Israel. To be honest, I pushed off going until the end of the trip. The Kotel! I understood it had potent, concentrated spiritual power. And I was a little afraid of it. 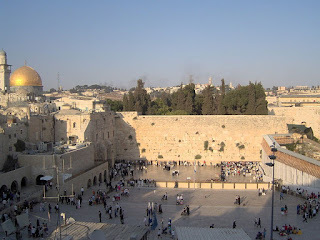 When I finally built up the courage to experience it for the first time, my husband and I walked to the Kotel Plaza. He went to the left and I went to the right. We agreed to meet back at a certain point in 20 minutes. Once under the spell of the Kotel, I started weeping. I cried for so long that I was still crying when it was time to meet my husband in the plaza area. Unable to explain why I was crying, we went into the Rova and sat at a restaurant. And I was still crying. I couldn’t understand what had come over me. And I certainly had no words to explain it to him. You would think that such a powerful emotional experience would knit me to the Kotel forever. Let me state for the record that I am an Orthodox woman, married to a rabbi, now living in Israel. The Kotel ought to be a spiritual sanctuary for me. It is not. I hardly ever go to the Kotel anymore. The purity of my first experience has been ruined - by politics, by power games and by overt sexism. 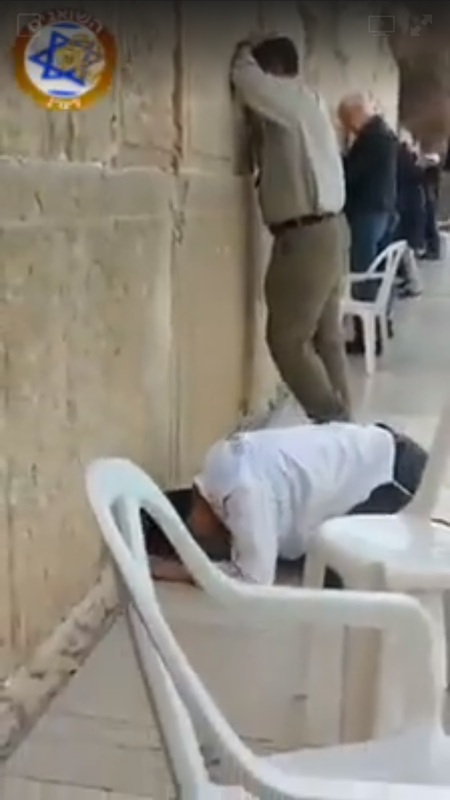 There is a 26-second video currently circulating on Facebook of a Japanese man at the Kotel. He is pictured hugging the Kotel, crying out. I don’t understand Japanese, but it would be clear to anyone that he is praying and crying with great feeling. At the end of the video, he falls into a bowing, prostrating posture. I don’t know what religion, if any, this Kotel visitor follows, but I do know that Shinto and Buddhism are the two main religions in Japan. Chances are pretty excellent that he’s not a Jew. Despite that fact, he is permitted to worship in his own distinctive way at the Kotel. No one harasses him. No one arrests him. No one attempts to kick him out of the Kotel area. And yet, actual Jewish women who wish to worship in their own distinctive way at the Kotel, with tallit and tefillin and Torah scrolls, are routinely harassed and have been arrested. Men routinely sing, dance, shout and pray out loud on their side. 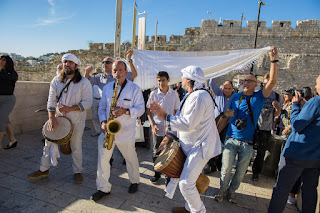 Bar mitzvah boys are frequently accompanied by small groups of musicians who drum and sing. However, when Jewish women gather in a group to pray, they are accused of being disruptive. They are maligned for compromising the purity of the Kotel. They are called an array of unspeakable names. They are routinely slandered. I personally don’t pray with tallit, tefillin and rarely get near a sefer Torah. 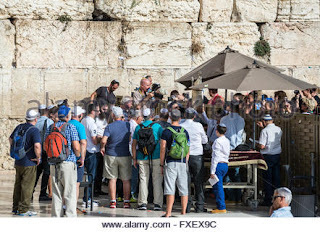 But it’s hypocritical, at the very least, to say that a non-Jewish man can prostrate himself at the Kotel, praying to his god(s). Visitors of all the world’s religions can pray there to the gods they worship. But Jewish women are obligated to behave as if the Kotel is an Orthodox shul? Either the Kotel is a spiritual home for all of humanity or it’s an Orthodox shul whose visitors must abide by halacha. Here are a few other ways the Kotel has been ruined for me. Women, even elderly women, have no alternative but to stand on plastic chairs in order to watch a Bar Mitzvah taking place on the men’s side of the mechitza. It’s a breach of derech eretz to not have found a safer, more dignified solution in all these years. If men had to stand on plastic chairs to watch a family simcha, you can bet this situation would have been addressed a long time ago. It took me awhile to understand why, whenever we went to the Kotel, my husband reported having no problem getting a space right at the Wall. Women would be standing three deep, waiting for a space directly at the Wall. Then I realized that the women’s section is a fraction of the size of the men’s section. I suspect it’s gotten smaller over time. Look at the first image, above. You can clearly see the disparity. 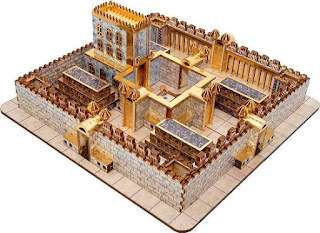 I grant that there are times, like Birkat Cohanim, when men really need more space. So build a moveable mechitza for those times if you must. But why are women disadvantaged with significantly less access to the Wall 100% of the time? Besides having the lion’s share of space, the men’s side also has tables and umbrellas. Since I’ve been in Israel, I’ve learned that the Kotel isn’t anywhere near as important, or as holy, as Har HaBayit (the Temple Mount). So the Kotel itself, despite its significant reputation, is simply not an important part of my Jewish life.